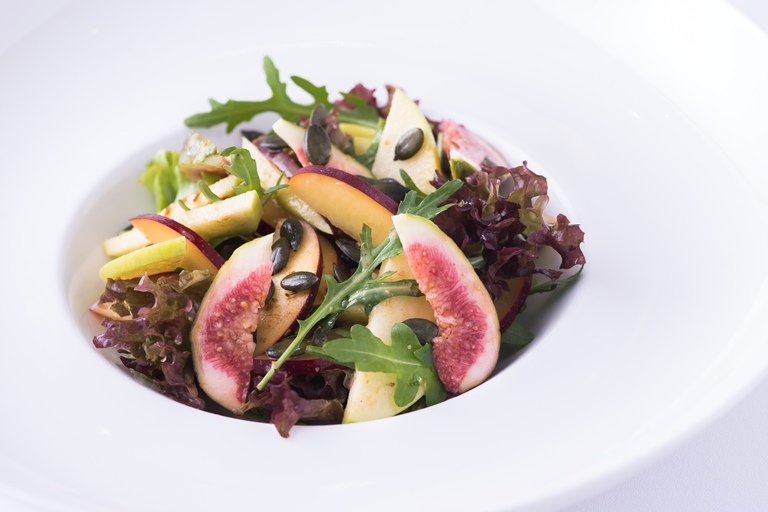 A refreshing side or light starter, this fruity salad from chef Peter Joseph is a signature dish on the Tamarind restaurant menu. With the crunch of apples and pumpkin seeds, soft stone fruit and a spiced, citrus dressing, it's a great recipe to spice up your salad repertoire. By moving away from the stereotypical view of Indian cuisine and embracing modern plating styles, Peter Joseph has taken the food he grew up with to dizzying new heights.